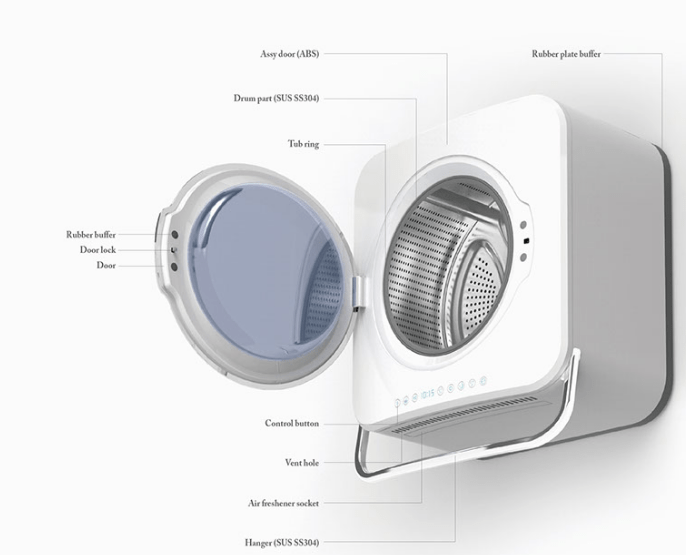 Samsung Hanger Washing Machine — Wall mount type washing machine for one person household. This is the design of wall mount type washing machine for one person household which has high space efficiency. There is a hanger on the bottom part to hang your laundry to dry right after washing. One does not need to carry laundry from washing machine to the hanger. 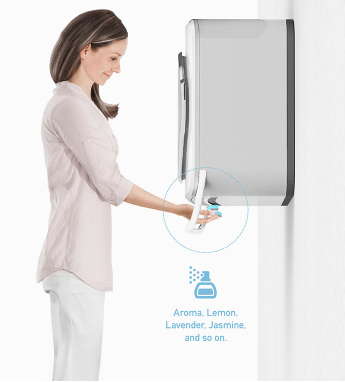 Also, it enables quick dry of the clothes by using motor heat made from operation. The Samsung Hanger Washing Machine just completes the entire washing process with an additional step. Spinning doesn’t get rid of all the water, and hanging the clothes in the sun is something everyone is forced to do. The Samsung Hanger WM (short for washing machine!) integrates a powerful air-blower into the machine’s design. A space efficient washing machine which can be located at any place.Washing machine can be installed in the living room or rest room in accordance with your needs. 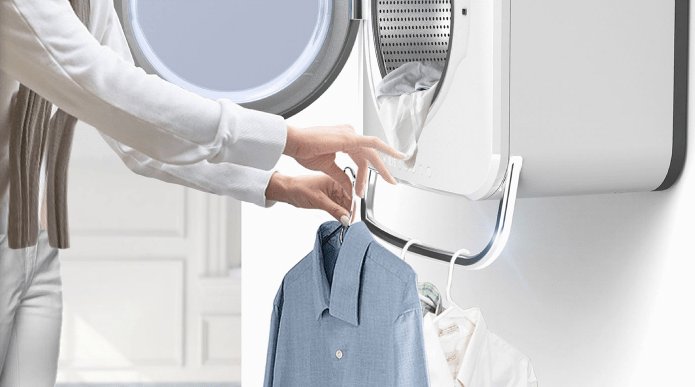 Also, through hang-on-the wall structure, space efficiency can be maximized.When you finish washing, you can dry your laundry easily and naturally on the hanger which is attached under the washer. Therefore the washing machine has the concept of the furniture as a hanger. One simply hangs the clothes underneath the wall-mounted appliance and the hot wind blows the moisture out of the clothing. Its additional benefit is that it instantly de-creases the clothes, meaning you don’t have to iron them. You also have the benefit of adding a fragrance to the hot air, so that your clothes don’t just look fresh, they smell fresh too. Applying an aroma to the parts containing the ventilator. It can soak the clothes on the hanger n a scent and provide a good feeling to the user.